#GivingTuesday is a global giving movement that has been built by individuals, families, organizations, businesses and communities in countries around the world. We have two days for getting deals – Black Friday and Cyber Monday. On #GivingTuesday, we have a day for giving back. 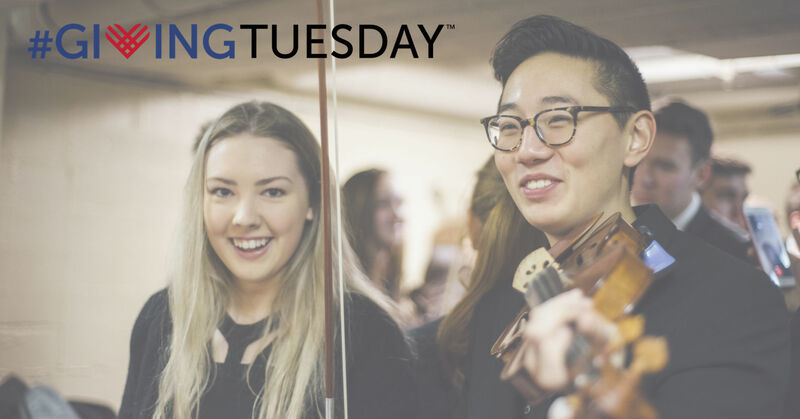 This #GivingTuesday the Vermont Youth Orchestra Association (VYOA) hopes to meet and exceed our goal of $2,500. That's only twenty-five $100 donations or fifty $50 donations. We are asking you - our friends, family, alumni, supporters, and music lovers - to help us by making a gift, sharing on social media, or creating your own campaign page to share using the "I Want To Fundraise For This" button above. The #GivingTuesday support we receive will help underwrite the nearly $35,000 in financial aid we award each season so that we can welcome all families to join us, regardless of their economic circumstances.